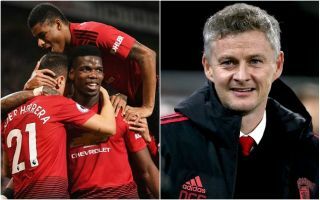 Manchester United continue to flourish under Ole Gunnar Solskjaer as they secured a 2-1 win over Brighton to make it seven consecutive victories across all competitions since he was appointed. The Red Devils have now moved to within three points of the top four with Chelsea having a game in hand, but their recent form has been stunning, as has the turnaround been since Jose Mourinho’s departure. Solskjaer has managed to lift the mood around Old Trafford not only with results but also with the performances, with United scoring goals and keeping things much tighter at the back. A fundamental factor in their improved form has been the influence of key individuals, with Marcus Rashford undoubtedly emerging as one of the most important. The 21-year-old has scored five goals in the six Premier League games under Solskjaer, as he seems to be relishing working under the club hero and has perhaps even been taking some tips from the clinical striker on how to improve his own conversation rate in front of goal. As noted in the tweets below, whatever changes have been made are working as not only has Rashford become the youngest ever Man Utd player to score in four consecutive league games, but he’s also beaten his own personal best tally in terms of Premier League goals by taking this season’s up to eight. United will hope that the youngster can maintain this level of form and impact he’s having for Solskjaer, as it could ultimately help lead them back into the top four this season as well as competing on multiple fronts. Paul Pogba has also benefitted hugely from the managerial change it seems, as he opened the scoring in the win over Brighton from the penalty spot as he continues to make a decisive impact with his goals and assists too.